From recent trends, people have now started to share more videos than ever before. However, people still refrain from posting videos online and one of the major reasons is because of the crappy audio that’s captured from your phone’s microphone. Sometimes, the audio can also be embarrassing when someone around you is not aware that you are filming. But still, the audio should not stop you from uploading your beautiful holiday video to the web. So it will be great if there is a way to remove the sound or mute a video. 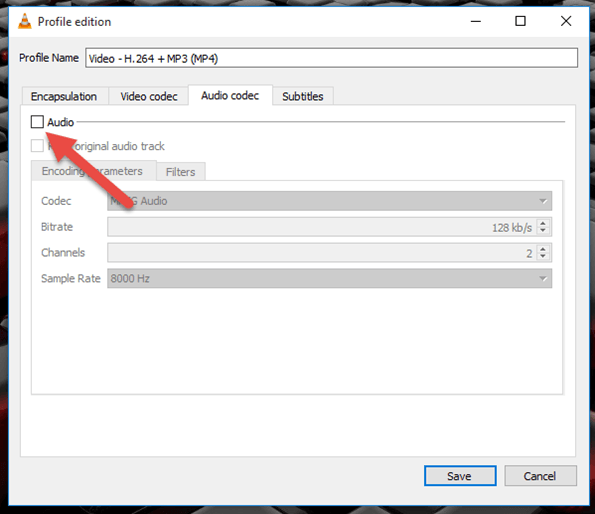 Here’s the trick to mute a video or remove the audio from video. You can choose any way you want to to silence your video for online sharing. According to the popularity of VLC, I think only few people don’t have a VLC media player on their PC. So with this way, you don’t need any other tool to finish the video muting task. Now, follow the steps below to start eliminating sound from video using VLC. 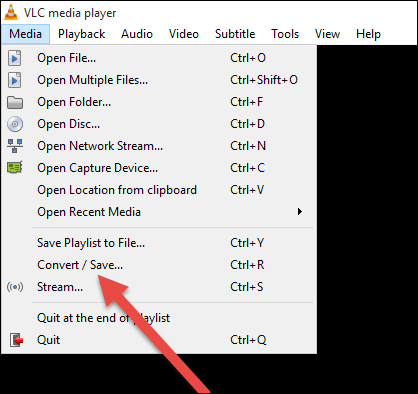 Step 1: To start, open the VLC Media player and click on Media and select the option of Convert/Save (Ctrl+R). 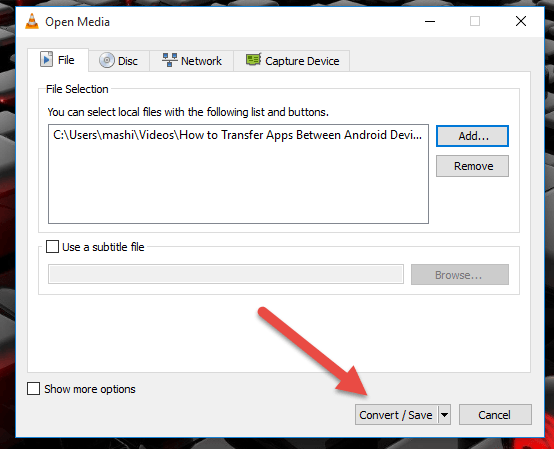 Step 2: When open up VLC media player, click on Add and select the video file that you would like to mute the audio from and click on the Convert/Save button. Step 3: On the open-up Convert window, select the profile you would like to use to convert the video. Next, click on the option of Edit Selected Profile next to it and you will be taken to the page where you can edit the selected profile. Step 4: Any profile you choose will have an audio tab to configure the audio codec and bitrate that you would like to use. Here, just uncheck the audio option and save the settings. Step 5: Then specify output path again when you are on the Convert window and beginning the conversion process. 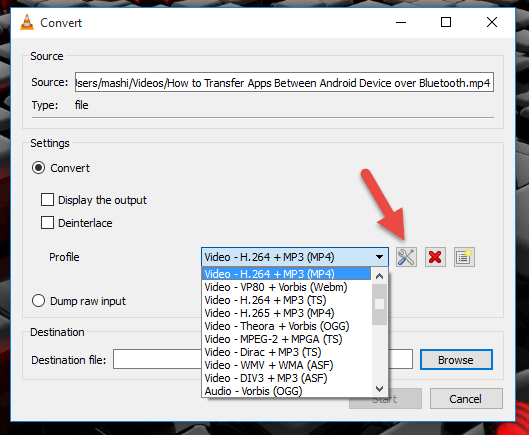 The conversion will approximately take the same amount of time as the duration of the video and you will be able to see the process on the VLC seek bar. Now, check the converted video and it will not have any sound like the original media. If you plan to upload video to YouTube, you can remove the audio directly in YouTube. 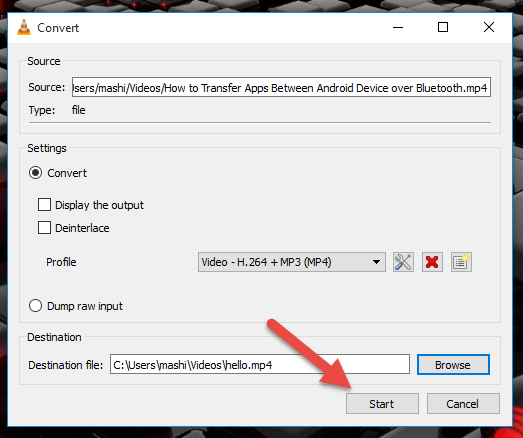 This method must be taken as an alternative if you are not able to use VLC on your computer, as this process includes uploading the video to the web and then downloading it. It will not only take added time but also cost you some additional bandwidth. If you are ready, upload the video to your YouTube account and remember to mark it as private. 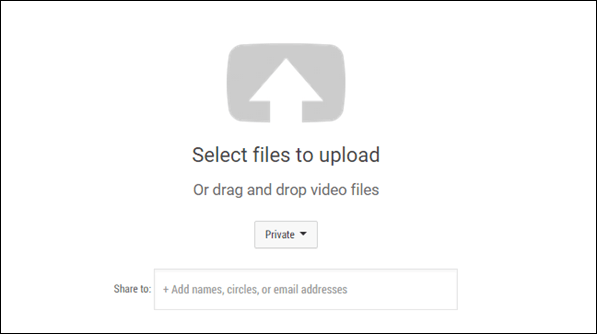 After the video is processed, open the YouTube video editor page and drag the video you uploaded to your library. When on video editor, navigate to the audio tab and use the volume slider to mute the video. If that’s all you want, give a name to the new video (project) and click on the button Create video. 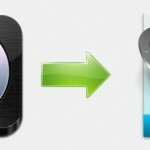 If you have a Mac, you can detach audio from video with iMovie. When you removed the audio with iMovie, you won’t be able to recover it. So before the process, please think it over. To remove sound from video, you can double click to launch iMovie then click on “file’ from the menu bar to navigate to “Import” > “Movies”. 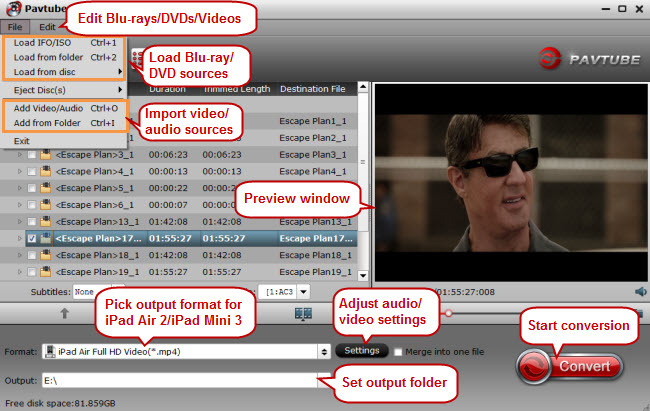 When you reach the location where stored the video that you are extracting audio, drag the video to the project library and right-click on it to see the given options. From these options, select “detach audio” and you will have split the audio and video into two. Click on the purple color from the options you get after right-clicking on the audio file to delete completely. After that, your options will be limited to three; add new background music, record an appropriate voiceover or leave the video plain without an audio track. 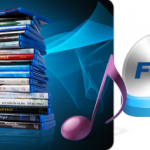 The choice will be yours to make but never harbor the thought of getting back the extracted audio. Pavtube Video Converter Ultimate <Mac version> is professional video/audio tool to help users to transcode video/audio, add subtitle, remove/replace audio. With this ingenious tool, detaching the audio from video turns a simple task: only in a click of mouse. Then, you can delete it directly or save it for future use. It supports video including MP4, FLV, AVI, MOV, VOB, 3GP, 3G2, MPG, MPEG, TS, TRP, TP, F4V, M4V(without DRM), M2TS, MTS, DAT, WMV, MKV, etc. Run Pavtube Video Converter Ultimate (Windows or Mac version depends on your platform) and import your MKV, MP4, AVI, etc videos to it by clicking the >Add video” icon. From the format bar you can choose the format you want. 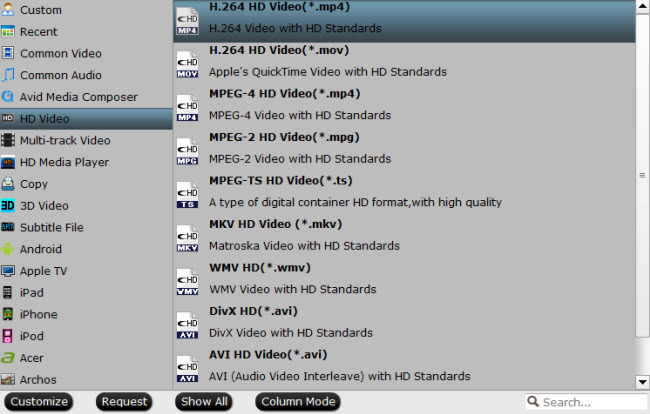 Here we choose “Common Video” > H.264 HD Video(*.mp4)” as the output format from “Format” extended option. Click the > Edit tab at the top of the interface and follow “Audio Editor”. Here, you can remove audio by checking “Audio Remove” and replace audio by “Audio Replace”. For more individual, you can add external subtitle to the video, add watermark to video. Comparing to the former three ways, the fourth way to remove audio can allow you shift format simultaneously so that you can convert your iPhone, HD Camera recordings to YouTube, Facebook, Vimeo in right format. How to Rip Blu-ray Movies with Desired Subtitles or All Subtitle Languages?